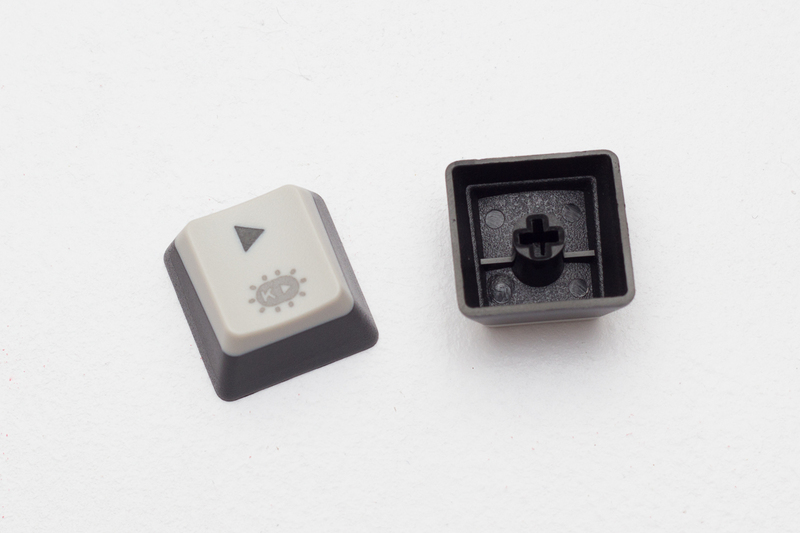 The Kailh BOX mechanical switch is a relatively new switch on the market and has a few new design changes from the traditional Kailh switches we all know and love. The Kailh BOX switches were released back in June 2017 and is now just starting to trickle into mainstream mechanical keyboard designs. Unlike the previous Cherry clones, the Kailh BOX comes in its own line of stem colors, all of which are IP56 rated for dust and water resistance. Kailh didn’t specify exactly how much liquid the switches can withstand, but for the most part you’d really have to submerge the keyboard in water while using it to cause damage to the switch. The keyboard we’re testing today features a White stem which is one of the variations of the switch. 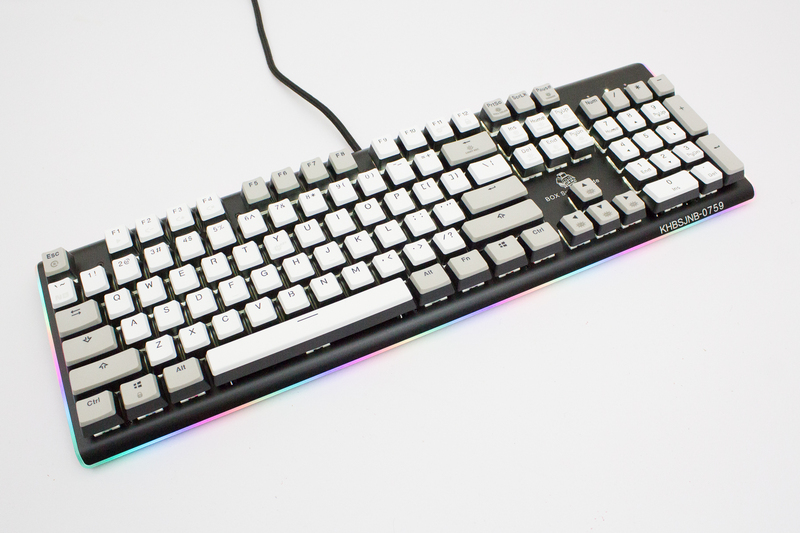 It’s the clicky type most similar to Cherry MX Blue. Aside from the White stem variant, Kailh’s BOX switch comes in three other variations: Red, Black, and Brown. Wow, two keypullers? Talk about luxury! There’s not much special features populating the Hexgear. Besides the function keys doubling as media controls and macro recording, the Hexgear is as plain as keyboards can get. The star of the show is the new Kailh BOX switch. These are designed to be IP56 dust and water resistant, and uses a new clickbar mechanism to generate the click sound. Cherry-style stabilizers are installed under the larger keys. 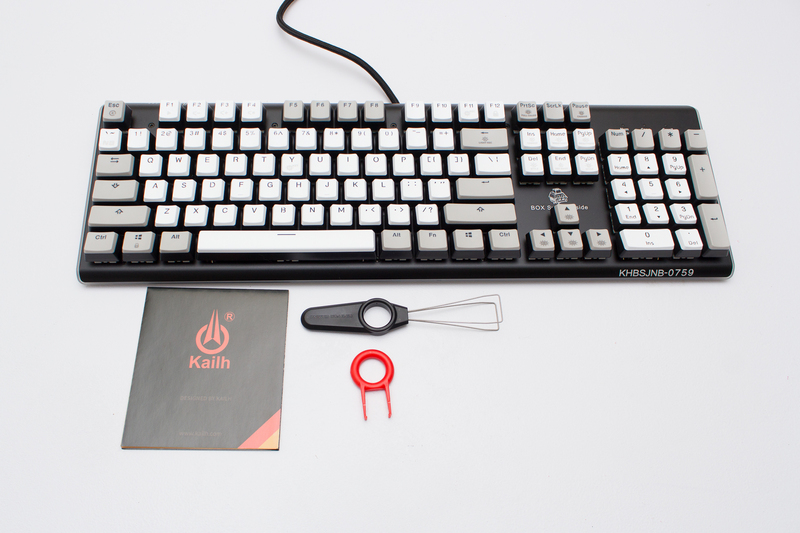 Kailh outfitted the Hexgear with a set of beautiful black-on-white keycaps. These are made using premium PBT plastic, with the legend printed using the double shot injection moulding method. The Hexgear is surrounded by a ring of RGB lights which looks rainbow-tastic in the dark. The main section of the keyboard is lit using white backlighting that permeates around the keys. 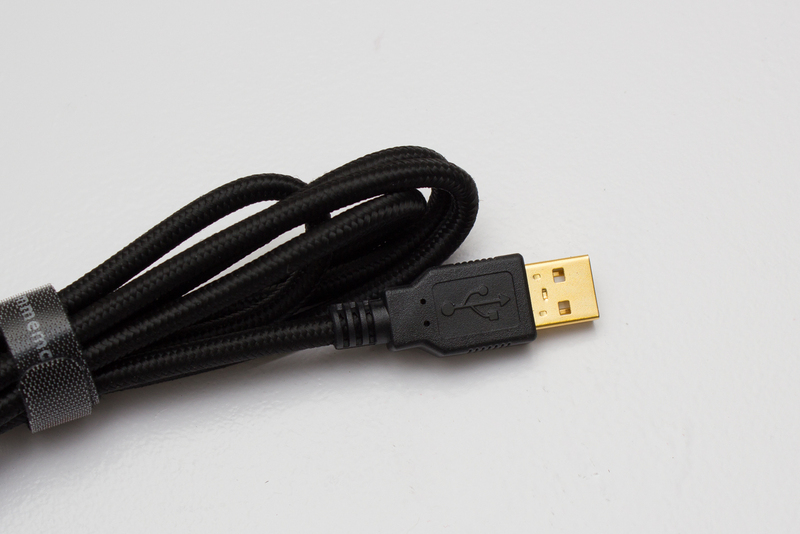 Braided cables and gold-plated USB plug? Check and check. Having spent the past month testing the Kailh BOX White switch, I’d have to say I’m impressed. In fact, I never thought I’d say this, but I prefer the feel of the Kailh BOX White over the tried and true Cherry MX Blue. In terms of feel, coming from the Cherry MX Blue switch, the Kailh BOX feels very similar. 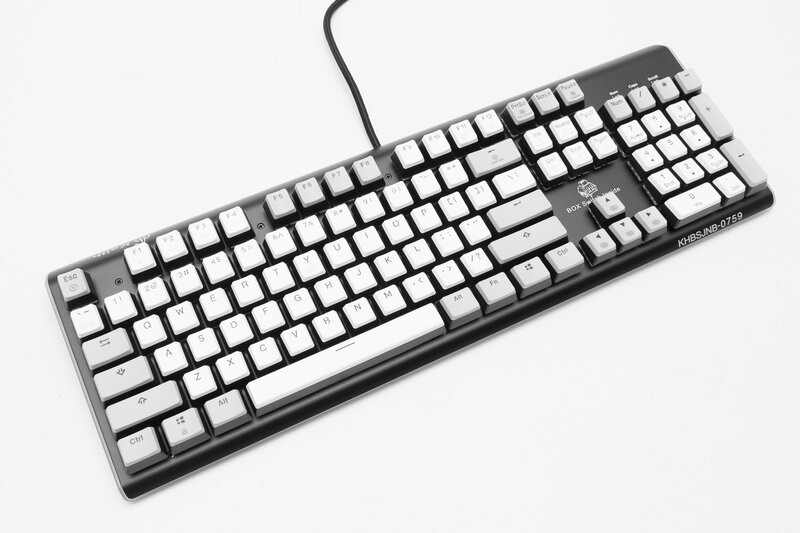 The Kailh BOX White features a relatively light 50g actuation force which feels very close to the 45g actuation force of the Cherry MX Blue and thanks to the tactile bump along with the crisp auditory click, the Kailh BOX White is ideal for speed typing. 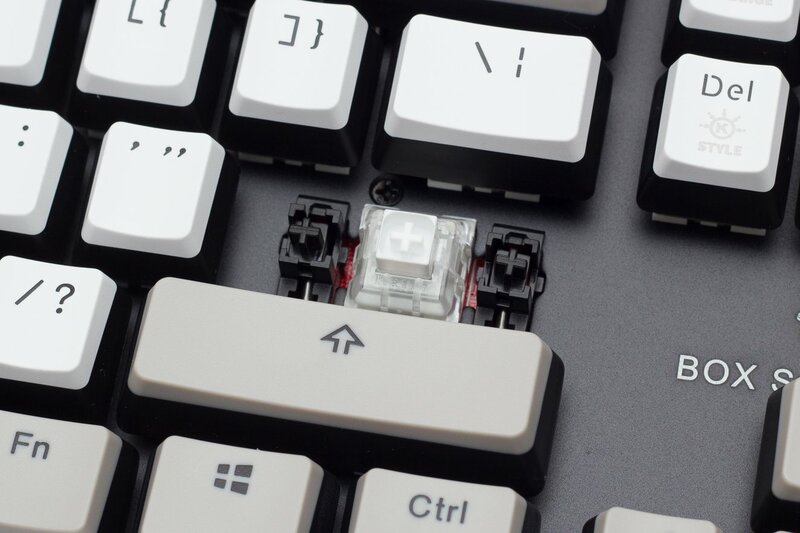 While water/dust resistance may seem like the biggest benefit to the Kailh BOX switch, the most interesting aspect of the Kailh BOX switch is the design of the click and tactile feedback mechanism which Kailh calls the clickbar. Traditional clicky switches from Cherry and its copycats use sliders that are separate from the stem. 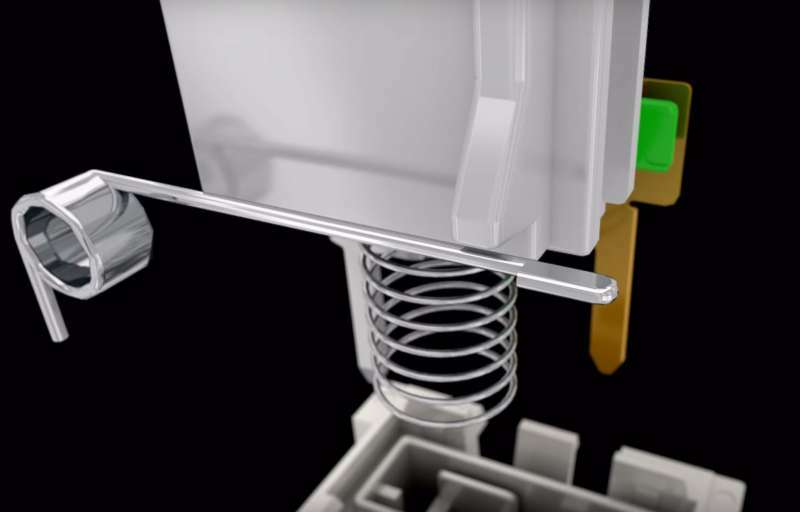 While this design provides excellent feedback, it also introduces hysteresis, a phenomenon in mechanical keyboard switches where the actuation point is lower than the reset point. For the BOX switch, Kailh keeps the slider in one piece and uses the case to strike against a metal leaf to generate the click. As the clickbar is mounted on the housing of the switch, it does not disrupt the smoothness of travel and as the slider is a single piece, the BOX switch doesn’t have to rebound higher than the actuation point to reset, the feel is more responsive and snappy when compared to the Cherry MX Blue switch. The sound is also a lot crispier and it doesn’t rattle as much either. Of course, the other greatest strength of the BOX switch is its IP56 water-resistance rating. 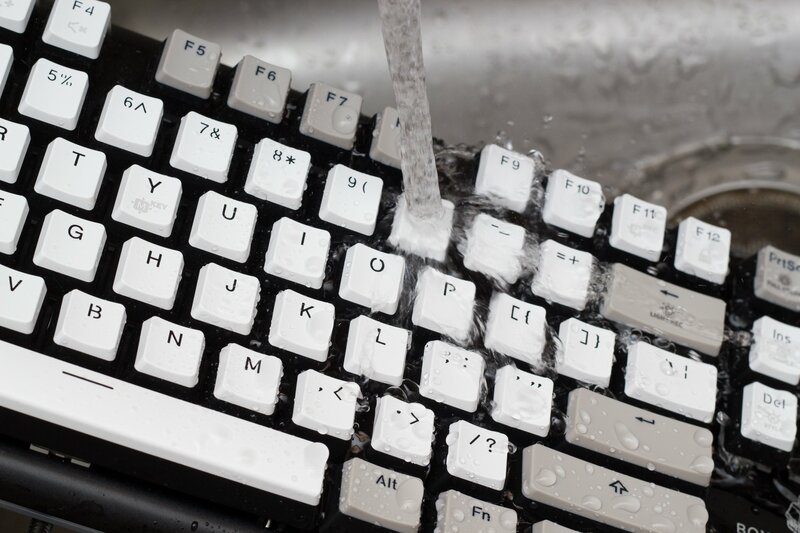 The IP56 rating is defined as “Water from heavy seas or water projected from jets shall not enter the machine in any harmful quantity.” The Kailh Hexgear easily survived 50ml of water poured directly onto the keyboard, and didn’t even flinch when we ran it under the kitchen sink. Paint me impressed. Do note, however, that the IP56 rating pertains only to the switches and NOT the keyboard chassis. Though the switches are capable of shrugging off spills, do try to keep the fluids away from the seams. When I first heard about the Kailh BOX switch, I was under the impression that it wasn’t going to be much more than the typical Kailh Cherry MX clone with a box around the switch to prevent water from getting in. For the most part, that’s exactly what it is, but I was also pleasantly surprised to find that Kailh has made some improvements under the hood which solves one of the biggest issues with Cherry’s MX Blue design. As far as drawbacks, there’s not a whole lot to say with the Kailh BOX switches. Currently, the only tradeoff I can imagine is that because of its design, the BOX switches may only be compatible with surface-mounted LEDs rather than LEDs on the switch themselves. 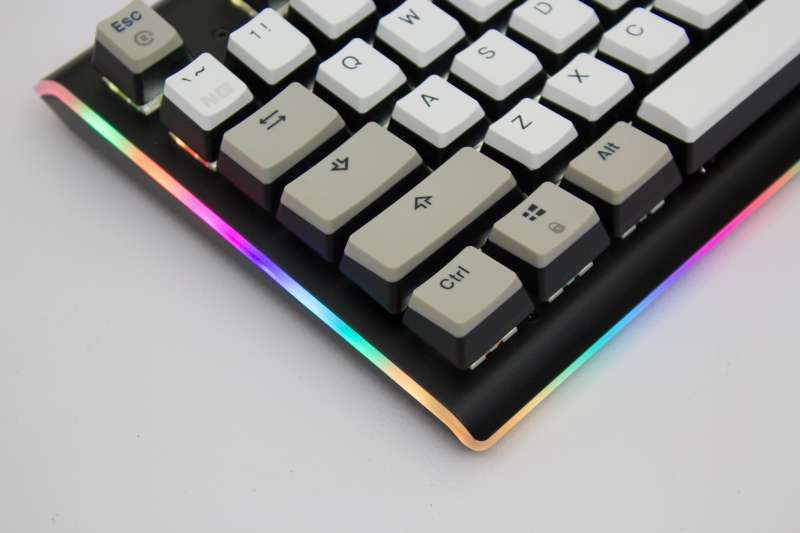 That said, I’m sure this is something Kailh is working on given that it’s 2017 and backlit keyboards are pretty much a must have these days. All-in-all, the Kailh BOX switch is fantastic. The feel of the switch is excellent, the design is solid, and it’s IP56 water and dust proof for life’s little accidents. Although I have yet to getting around to test the linear variations, I have no problems recommending the White variation to both gamers and typists who want to maximize the “click” factor. Seriously, the sooner they make it into mainstream boards, the better.